427 Squadron was formed in November 1942 as part of 4 Group Bomber Command but was transferred to 6 Group in January 1943. It was stationed at: RAF Croft and RAF Leeming. Aircraft flown included: Wellington, Halifax and Lancaster. Interview with the family of John Edward Ayres. 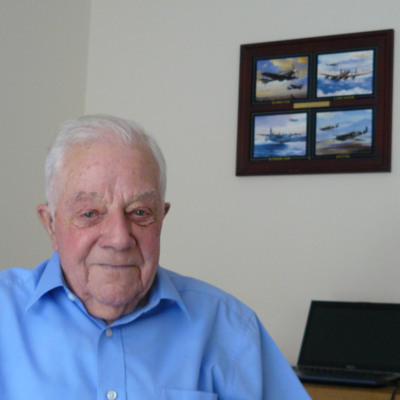 John Edward Ayres flew operations as a flight engineer with 427 Squadron.